PokerStars is the planet’s largest real money online poker website, with more than 40 million registered players worldwide. It offers thousands of real money hold’em tournaments and cash games every day, all of which are available on PC and Mac via its award-winning software client. 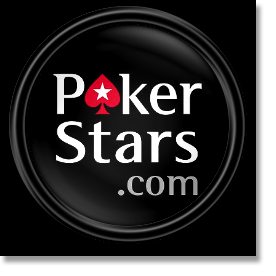 As such, PokerStars.com ranks among our recommended Internet poker sites. 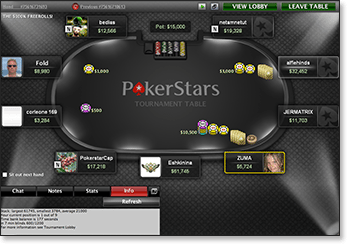 A large part of PokerStars’ success is owed to its industry-leading gambling software. Since the site’s inception in 2001, it has always been first to the punch with technological improvements to ensure the most authentic digital poker experience possible. This means ultra-smooth gameplay with no lag or dropouts for all players using a reliable high-speed Internet connection. The PokerStars desktop suite is free of charge and takes a matter of moments to download and install. Once you’re all set-up and logged in, the world is your oyster. You can control all aspects of your online gambling sessions from the PokerStars lobby – from managing your personal account, to adjusting visual displays and security settings, to creating your own customised poker rooms for recreational play and private real cash tournaments. This software client is available for both Windows PC and Apple Mac. Both programs offer the exact same features, and the PC version is famous for being extremely compatible with Linux operating systems – so there is no missing out just because you’re not a Microsoft user. Download the free poker software package from PokerStars.com today. This is a 100% match bonus – which means that for every dollar you put in, PokerStars will give you another one for free. For example: if we transfer $50 on our first deposit, we will receive an extra $50 on the house. If we add $100, we get another $100 free. And if we deposit $150… well, you get the idea. You can use up to three qualifying transactions to make up the full $600 bonus over the space of several months, using the promo code PSP20201 each time. Unfortunately, this cash is not instantly credited to your playing account; instead, the funds are released in $10 increments for every 200 VIP Player Points (VPPs) you earn. This is a bit of a nuisance, especially considering most online casinos award your bonus cash up front. For that reason, we recommend new players go with smaller deposit amounts at first. See how long it takes you to clear $50, for instance, then decide whether you want to up the ante on the next cash transaction. For more details on bonuses and promotions, including terms and conditions, visit the official PokerStars website. PokerStars.com runs literally thousands of Internet poker tourneys every day of the week. All the most popular games are catered for – including no limit Texas holdem (NLH), pot limit Omaha (PLO), Omaha hi/lo, seven card stud, razz, stud hi/lo, triple stud, several styles of draw poker, and mixed games like HORSE and HOSE. Sit & Go – These are events that have no scheduled starting time. As soon as the required number of players has signed up, the tourney kicks off. Sit-and-go tournaments (or SNGs) can come in myriad formats – from Turbo 6-Max events where the blinds increase quicker than usual, to Fifty50 games where play ends once half the field is eliminated. Multi-Table Tournament – An MTT allows for large numbers of players, spread across several tables at once. This is more like a traditional live poker tournament, with a predetermined starting time. 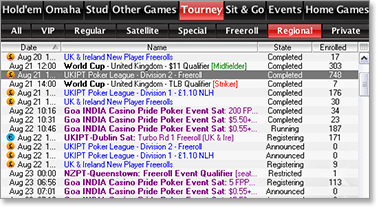 Popular online multi-table poker events include Shootouts and Heads Up tournaments, where players must win through their table in order to progress. Satellite – These are essentially qualifiers, where the main prize is the buy-in for a bigger tournament. Winning through this kind of event allows you to play for the big bucks without sacrificing a month’s rent on entry costs – e.g. triumphing in a $20 satellite could get you into a tourney with a $200,000 prize pool. PokerStars offers both SNG satellites and scheduled MTT satellites. Zoom Poker is exclusive to PokerStars and offers some of the fastest real money hold’em, Omaha and draw games on the Web. Everytime you fold, you get dealt in at a new table – so there is no waiting around watching dead pots, and you get a new group of opponents every hand. This makes for incredibly slick ring games and cash tournaments, and you can play for free as well. The traditional poker player probably won’t go in for this kind of thing. So much of Texas holdem strategy is about feeling out your opponents – learning their tells, figuring out their betting tactics, and so on – and this new format throws all that out the window. There’s not a lot of room for subtleties here, to be sure. However, for the new-age Web gambler who doesn’t always have the time to grind it out the old-fashioned way, this is an ideal solution. Say you’ve only got 10 or 15 minutes to spare – in a Zoom Poker cash game, you can cram in more than enough hands to make logging in worth your while. All real money banking methods at PokerStars are protected by 128-bit SSL (Secure Socket Layer) digital encryptions, to ensure the same level of financial security as you get when making transactions online with any leading bank. So there is no need to worry about a single cent disappearing into the vast, virtual expanses of the World Wide Web. There are several options for getting cash in and out of your playing account safely and quickly. For fast deposits so you can hit the real cash poker tables sooner, we recommend using Skrill, Neteller, EntroPay, Visa and MasterCard. To learn more about safe online banking methods, check the Real Money Poker section at www.PokerStars.com.